Students in Bryce Jones’ classes are getting the chance to test their hands at a different kind of business-the textbook business. Motivated by the high costs and the quality of commercial textbooks, Jones has assigned his students to write all or part of a textbook chapter for his “Legal Environment of Business” course. Jones initiated this project after experiencing multiple issues with the previous textbook. Since it began three semesters ago, approximately 380 pages have been drafted. According to Jones, the previous book spent too much time on unnecessary details while neglecting to emphasize central concepts. He also found the material inaccessible for his students. “In my opinion, [the previous textbook] is written by lawyers, for lawyers. I don’t think they’re writing it to the level of a sophomore,” Jones said. Students consult relevant resources and rewrite the information they deem important in their own words. “Many of my students are as bright as textbook authors, and they know their audience better,” Jones said. Along with text, Jones encourages inclusion of hyperlinks, video, tutorials, charts, real world applications, practice questions and other interactive elements in the chapters. As the semesters have gone on, students have also assumed the task of modifying previous work. Some of the students’ duties include proofreading, fixing mistakes, revising sentences and adding examples, interesting cases, charts and summaries. Work-study and graduate students also help edit the book. “It is helpful for the graduate students since they will see some of the stuff on the CPA exam,” Jones said. The book is free if accessed online or around $25 if printed, as opposed to the previous textbook, which cost up to $180. For the fourth edition of the textbook, due out next semester, Jones is looking into going national. He is considering outlets such as Amazon Kindle or Apple iPad. Jones recognizes the possibility that other business law classes may be able to use all or part of the book as a supplemental resource. An advantage is that the book offers information specific to the state of Missouri, rather than making general references to state law. Throughout the project, Jones has been highly impressed with the quality of work from his students. The textbook is available to anyone in a self-extracting zip file at http://www2.truman.edu/~brycej/text.htm. The Spring 2011 Missouri Government Interns will spend the semester in Jefferson City, Mo., earning up to 15 hours of college credit while working with either a legislator, public official or state agency. Pictured, front row, left to right: Andrew Crane, Kitty Rice, JoEllen Flanagan and Daniel Ritter. 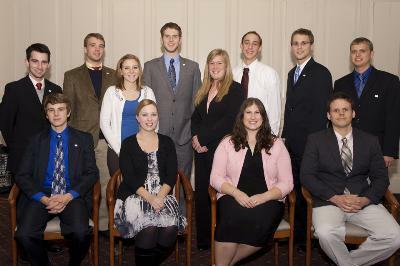 Second row, left to right: Joey Shelton, Alexander Ewing, Mandy Ciecior, Eric Vander Weerd, Krista Crider, Benjamin Swiderski, Adam Crews and Zach Buckler. Not pictured: Casey Davis, Joanna Russell and Kyle Yardley. Truman students are coming to realize the importance of internships as part of their college experience. One thing they are also discovering is that an internship does not necessarily mean wearing a dress suit and carrying a briefcase. About a year ago, junior Kathleen Keough found herself searching online for internships that related to her interest in equine nutrition. She came across the internship program at the Wild Horse Sanctuary, a ranch in northern California featuring 5,000 acres and 300 horses. The Wild Horse Sanctuary is a non-profit public foundation dedicated to protecting and preserving America’s wild horses. 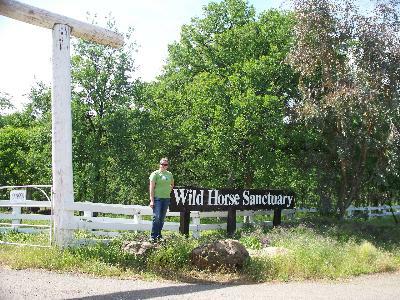 Junior Kathleen Keough stands by the entrance of the Wild Horse Sanctuary in northern California. This organization is dedicated to protecting and preserving America’s wild horses. Keough interned at the Wild Horse Sanctuary in Summer 2010 after discovering the position online. Keough applied for the internship, along with approximately 20 other students from around the country. She was pleased to be one of the five selected interns for Summer 2010. As an agricultural science major, Keough enjoyed working as a trail guide and completing regular farm and ranch duties. She also learned a great deal about legislation in the works for wild horses. Another student, senior Anna Jahn, made a list of the places she wanted to work and sought out internship programs at those companies. While she realized that a lot of the places she was applying to were long shots, this list helped her achieve an internship at Lionsgate Entertainment in Summer 2009. The following summer, she applied for and received a competitive position with Dreamworks. Senior Anna Jahn interned at Dreamworks in Summer 2010, after completing an internship at Lionsgate Entertainment the previous summer. Jahn compiled a list of dream internships before applying for these positions. While at Dreamworks, Jahn worked as a production intern in the art and story department for the upcoming film “Puss in Boots,” due out in November 2011. “I think the key that most students forget is not to limit yourself to what your major is,” Jahn explained. While working for Dreamworks was loosely related to her art major, Jahn said it was a great experience that furthered her interest in animation. For students looking for the international internship experience, one 2011 Truman faculty-led summer program has an internship component. Led by sociology professor Elaine McDuff, “Democracy and Human Rights in South Africa” places students at various agencies fighting for social justice, based on the students’ interests and skills. Senior Krista Goodman works with children at the Place of Hope preschool in South Africa. Goodman went to South Africa as part of sociology professor Elaine McDuff’s “Democracy and Human Rights in South Africa” internship program, which places students at various acgencies fighting for social justice. Many departments have an internship coordinator who tracks the progress of Truman students during their internship. When students come interested in finding an internship, coordinators guide them to a database or listing which details where past students have interned and provides students with contact information for the supervisors. From there, many students stop by the Career Center. The Career Center consults many students interested in finding internships. The Center offers several resources, such as brochures for each major that list where past students have interned or found permanent work. From there, the Career Center has a host of web resources listed online. One popular site offering students free access is http://internships.com. A helpful function of this site is the "Internship Predictor," which asks students a series of questions and generates a list of internships that may appeal to them. The Career Center also maintains an online database of internships completed by previous students of all majors. The data is taken from information submitted by graduating seniors. Another option is reaching out to Truman alumni through BulldogNet, a resource on the Career Center’s website which links current students to accomplished alumni in a variety of fields. In today’s world, Truman students recognize the importance of having an edge over other graduates and internships are a great way to get ahead. During the fourth annual Big Week of Giving, the SERVE Center raised 31,000 pounds of food and $2,225.24 for the Food Bank for Central and Northeast Missouri. The Center wants to send a special thank you to everyone that helped make this a successful week, including: Alpha Kappa Lambda, the Student Recreation Center, Greek Life, Alpha Sigma Gamma, Lambda Pi Eta, the Newman Center, Phi Beta Sigma Fraternity, Inc., Sigma Tau Gamma, Delta Sigma Theta Sorority, Inc., the Homecoming Committee, Campus Christian Fellowship, Circle K, Hispanic American Leadership Organization, Phi Epsilon Kappa (Kickball Tournament Winners), Team Aquasox and Team Ramrod. The Food Bank for Central and Northeast Missouri serves more than 95,000 people each month who live at or below the poverty level, predominantly the working poor, their children and the elderly, through 135 agencies in 32 counties. All the money and food raised will stay in Adair County. The Truman Speech and Debate Team brought home several awards after competitions at Ohio State University Dec. 3-4 and neighboring Otterbein College Dec. 5. 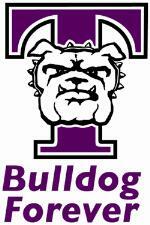 Truman left the combined competitions, traditionally known as the “Holiday Frolic,” with a total of 21 awards. In the first tournament, the debate competition fielded 58 debaters. Freshmen Myra Milam and Nick Gorman each advanced through octofinals. This places each of them in the top eight based on win/loss records. Milam received a third place individual award based on her speaking skills in those debate rounds. Freshman John Carney and senior Dylan Clark also received fourth and sixth place speaking awards, respectively. The Truman speech competitors went up against 24 other schools, including Western Kentucky University and Ohio University. Junior Andrew Grojean led the team with a second place trophy in individual sweepstakes award, which is based on an individual competitor’s combined finish in all of the events in which they compete. Contributing to that individual award was Grojean’s third place finish in dramatic duo with his partner, freshman Arielle Long-Seabra. Grojean also took fourth in dramatic interpretation and sixth in prose interpretation. Freshman Sarah Agbehia took fifth place in novice impromptu. During the second competition, the team went up against 13 other schools. Milam fought 49 other debaters to finish again in the top eight, winning another quarter final trophy. Grojean took second place in editorial impromptu, impromptu and persuasion. He also finished third with his duo partner Long-Seabra. Grojean’s top accomplishment was beating several of the nation’s best competitors to reign as champion of both prose interpretation and dramatic interpretation. The freshman duo of A.J. Taula and Long-Seabra won second place, and Taula also finished second place in dramatic interpretation. Agbehia took third place in open impromptu and sixth place in open extemporaneous. All totaled, the awards from both competitions earned the team a second place finish in combined team sweepstakes. “This weekend was a long, grueling one for the competitors. The tournament is far away, it is a long weekend, and the students have finals and holiday break on their minds. We were very happy to finish this semester on such a high note,” Kristi Scholten, director of forensics, said. Students of any major interested in joining the team can contact Scholten at kscholten@truman.edu. Dr. David R. Russell, commissioner of higher education for the state of Missouri, gave the commencement address during graduation ceremonies Dec. 18. Missouri’s Coordinating Board for Higher Education named Russell as interim commissioner July 1, 2010 and appointed him as the permanent commissioner earlier this month. 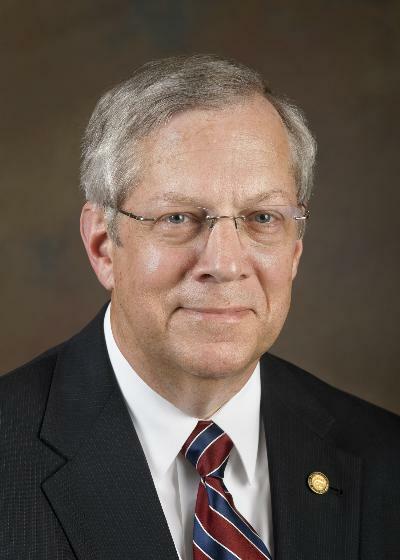 He most recently served as senior associate vice president and chief of staff for the University of Missouri System, where he was liaison between the university and the Coordinating Board for Higher Education and its administrative arm, the Missouri Department of Higher Education. Russell worked in the University of Missouri System for 19 years, first as associate director of university relations, assuming even greater responsibility for communications, strategic planning and public policy positions. He served as director of university relations and chief of staff before becoming senior associate vice president, where he worked with the president and all four university campuses to integrate finance and administration, human resources, general counsel, government relations, information technology, communications, and academic and student affairs. Prior to his tenure at the University of Missouri System, Russell served in the United States Army as a commissioned officer, retiring in 1991 as a Lieutenant Colonel after a 22-year career, including assignments in media relations at the Pentagon and as director of public affairs at Ft. Leonard Wood, Mo. Russell obtained a bachelor’s degree in education from Henderson State University, a master’s degree in communications from The American University and a doctoral degree in educational leadership and policy analysis from the University of Missouri-Columbia. His dissertation examined public and political support for higher education reform. He is a frequent presenter and lecturer on topics related to higher education, public policy and governance structures. Cape Air and the Kirksville Chamber of Commerce Tourism Office have teamed up to provide the Truman community with discounted flights to St. Louis. Cape Air is Kirksville’s newest airline, offering three daily flights to Lambert-St. Louis International Airport. Truman students and their families, along with faculty and staff members of the University, are eligible for a $20 discount on round-trip flights or a $10 discount on one-way flights. Reservations may be made by visiting the Cape Air City Ticket Office at 102 E. Washington in downtown Kirksville or by calling either 665.3057 or 866.Cape.Air. The promotion code QIRK must be referenced when making the reservation. This is a temporary offer extended to the Truman community. The Northeast Missouri Alumni Chapter’s annual pizza party for December graduates will feature free food, great door prizes and gifts for graduating seniors. For more information, contact the Office of Advancement at 785.4133 or alumnievents@truman.edu. http://mac.truman.edu by Jan. 10. Make it a day ON and not a day OFF. For more information, contact Kati Smith at katismith@truman.edu or 785.4142. For the first time, there will be two Faculty/Staff Challenges during the 2011 Martin Luther King, Jr. Day Collegiate Challenge Jan. 17. Faculty and staff will be divided into two teams or more, depending on the number of participants, to spend the day completing a service project in the community. Alongside 150 student volunteers, faculty and staff can attend the opening ceremonies at 9 a.m., serve from 10 a.m.-4 p.m. and then enjoy a reflection dinner from 4-5 p.m. Recipients will receive three free meals and a free t-shirt. Make it a day ON and not a day OFF. Pre-register by Jan. 10 to bcloyd@truman.edu. Truman will begin offering courses in the new Master of Arts in Leadership graduate program in Spring 2011. 5:15-7 p.m. in the Student Union Building Room 3202. For more information, see http://gradstudies.truman.edu/areasofstudy/Leadership.asp, e-mail cyoung@truman.edu or call 785.4109. Looking to show appreciation for a graduating student worker? Give the gift that allows them to network and make connections with other Truman alumni nationwide. (only $10 for an individual or $15 for joint). Alumni Chapter members receive nationwide and Kirksville hotel discounts, rental car discounts, free admission to most home athletic events, discounted admission to many Alumni Chapter activities and much more. To learn more about the benefits of Alumni Chapter membership, or to give the perfect gift to your student worker, visit http://store.truman.edu/alumni/category.asp?categoryid=61 or contact stuckerpotter@truman.edu. Truman Foundation Study Abroad Scholarships are being offered for Summer 2011. Ten $1,500 scholarships will be awarded for summer faculty-led Truman study abroad programs based on financial need, statement of purpose and academic achievement. Applications are now available in the Center for International Education Office (Kirk Building 114). These applications are due in the CIE Office by noon on Jan. 28 and recipients will be notified by the end of February. for a day of food and fellowship. with regular hours resuming on Jan. 10. Regular hours resume Jan. 10. The next issue of Truman Today will be available online Jan. 10 and in print Jan. 11. All submissions for this issue should be made to tmiles@truman.edu by Jan. 5. The Learning Technologies Office and IT Services offers a wide variety of workshops and training opportunities to enhance the teaching and learning experience in face-to-face (F2F), blended and fully online courses taught at Truman. As the fall semester draws to a close, we’d like to share our current slate of offerings in preparation for your next semester! Get your Blackboard questions answered! Successful completion of this course is REQUIRED by all instructors teaching in a C-Level room. If you have previously certified, you do not have to repeat the workshop, but you are certainly welcome to as a refresher. Note: This workshop is available in both fully online and face-to-face options. To register for any of the following workshops, visit our Event Manager Site. During the morning session, learn how to transform your course for blended delivery-leaving more time during your lecture periods to discuss and seminar content your students are engaging with online. The afternoon session will focus on extending these techniques to a fully online delivery mode while still maintaining communication, collaboration and relationship-building with your students. A great option for your next summer course. Facilitated by Instructional Designers, Susan Thomas and Diane Richmond, and Institute Director, Kevin Minch. Aimed primarily at instructors teaching in the C-Level Smart Classrooms, but open to all. This workshop will address the use of SMARTBoards, Panopto, Google Apps and other tools in the classroom. Call the Learning Technologies Team Office at 785.7750 with any questions. Austin Church, a senior music composition major, was awarded first place in the 2010-11 Music Teachers National Association Missouri State Composition Competition. Church’s winning composition, entitled “The Wolf of the Steppes" for string quartet, was entered in the Young Artist category of the competition, open to undergraduate and graduate students. Holly Fling and Scott White, senior English majors, presented papers at the Missouri Folklore Society Conference in Neosho, Mo., Nov. 4-6. Fling spoke on Christmas traditions in Bethel, Mo., while White presented his research on Boy Scouts’ ghost stories and storytellers. Fling’s paper also won the Dolf and Becky Schroeder Scholarship Award for 2010. The Department of Society and Environment congratulates the charter members of the Cultural and Societal Honors Society who were inducted Nov. 29: Jessica Bernstetter, Rudolph Cesaretti, Katie Dye, Kathrine Olsen Flaate, Emma Flowers, Lakeisha Joyce, Racheal Kissee, Hannah Motes, Zakery Palmer, Nick Riggins, Kevin Sack, Alex Senger and Ashley Tucker.